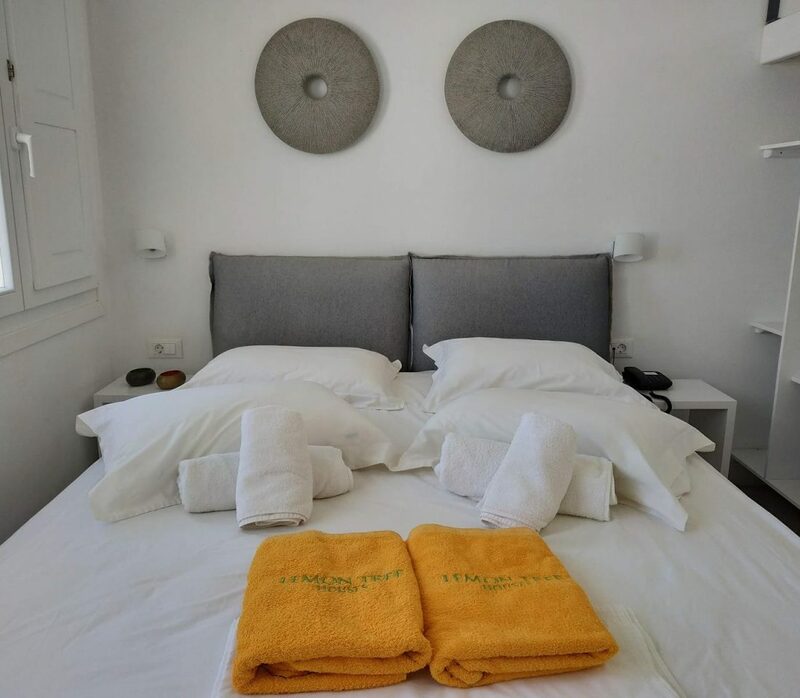 Each property can accommodate from a lonely two up to a party of five, making Lemon Tree Houses, an ideal place for friends’ groups, couples and families. 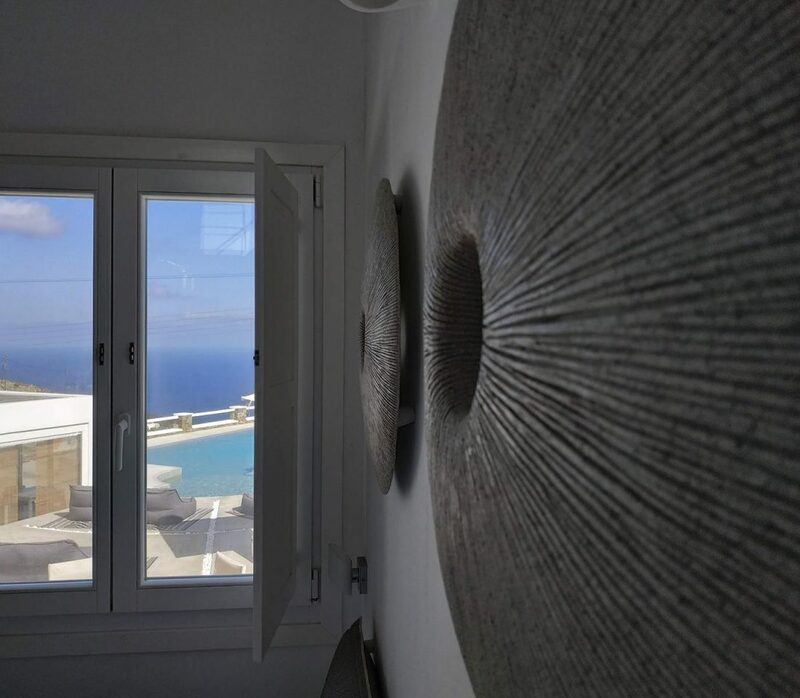 Despite their matching exteriors, each villa can boast for its individual design and welcoming atmosphere, highlighted by unique interior works. Make your reservations online with just a few click directly from the site of our hotel and take advantage of our promotions. 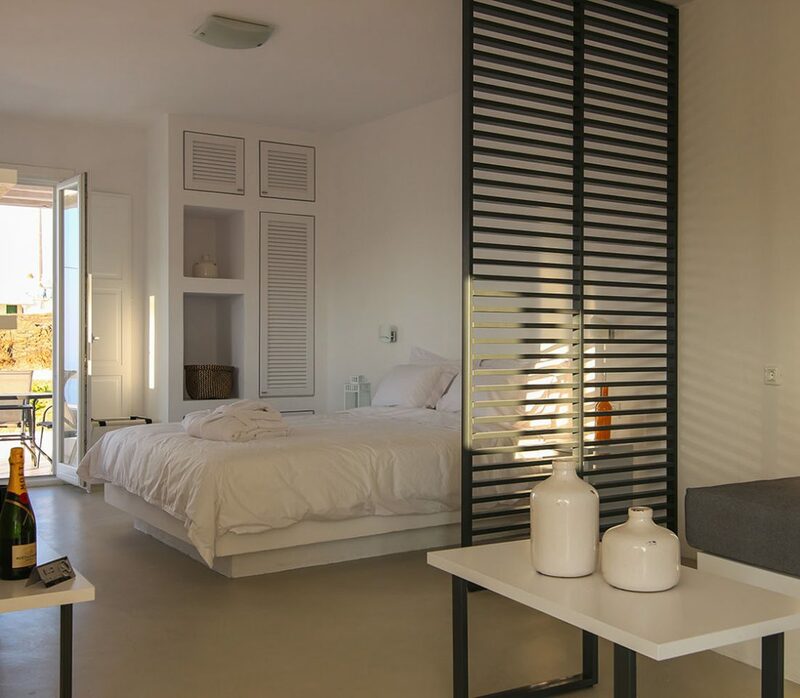 The rooms of Lemon Tree Houses are created to exude elegant luxury though Cycladic simplicity. 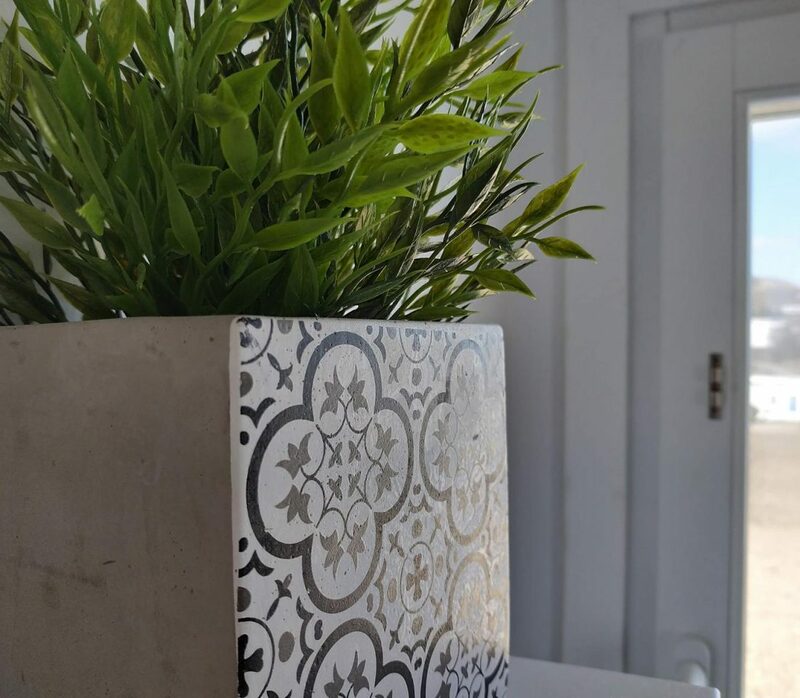 Spacious and minimally decorated, Villa Citron can accommodate up to 3-4 guests. 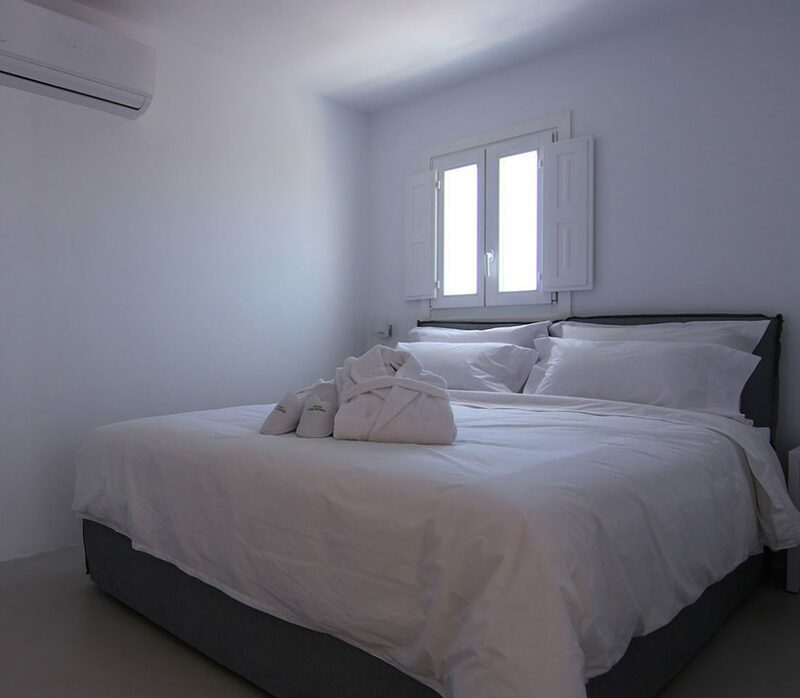 It’s an individual house of 40 sqm, with double queen size bed, modern bathroom shower with cabin shower and upgraded amenities, a spacious living room with a comfy sofa bed and kitchenette with mini bar fridge. 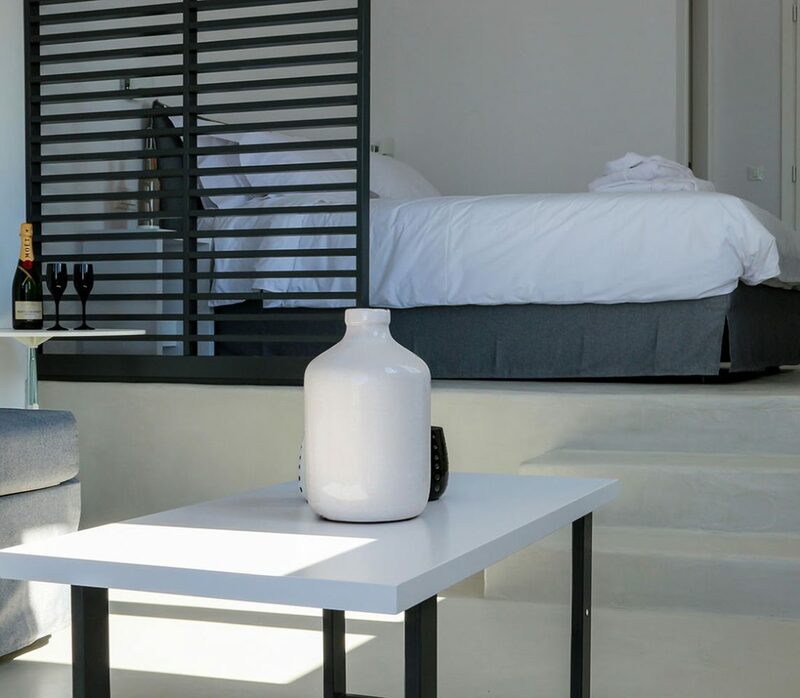 The room has 32΄led flat-screen TV with cable channels and an in-house 10’’ tablet for web browsing while savoring the unobstructed Aegean Sea views in the privacy of your own villa. 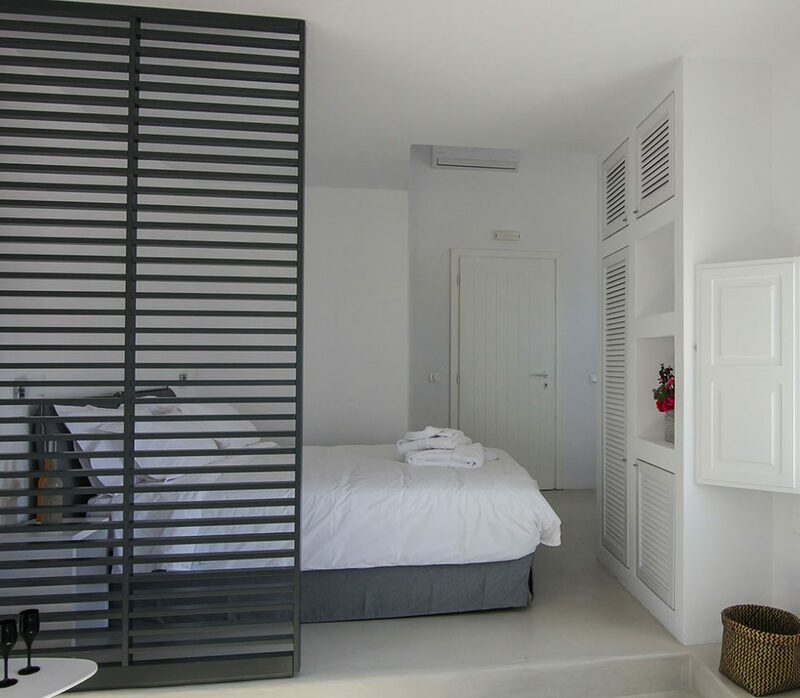 Spacious and minimally decorated, Villa Quince can accommodate up to 5 guests. It’s an individual house of 45 sqm, with double queen size bed, modern bathroom shower with cabin shower and upgraded amenities, a spacious living room with a comfy sofa bed and kitchenette with mini bar fridge. It also has a mezzanine with a Queen Size Futon Bed. 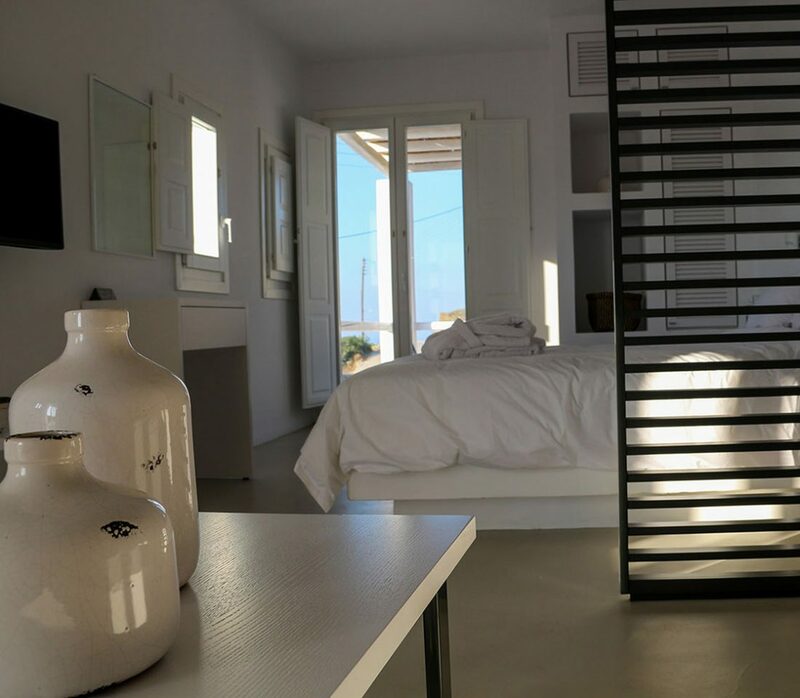 The room has 32΄led flat-screen TV with cable channels and an in-house 10’’ tablet for web browsing while savoring the unobstructed Aegean Sea views in the privacy of your own villa. 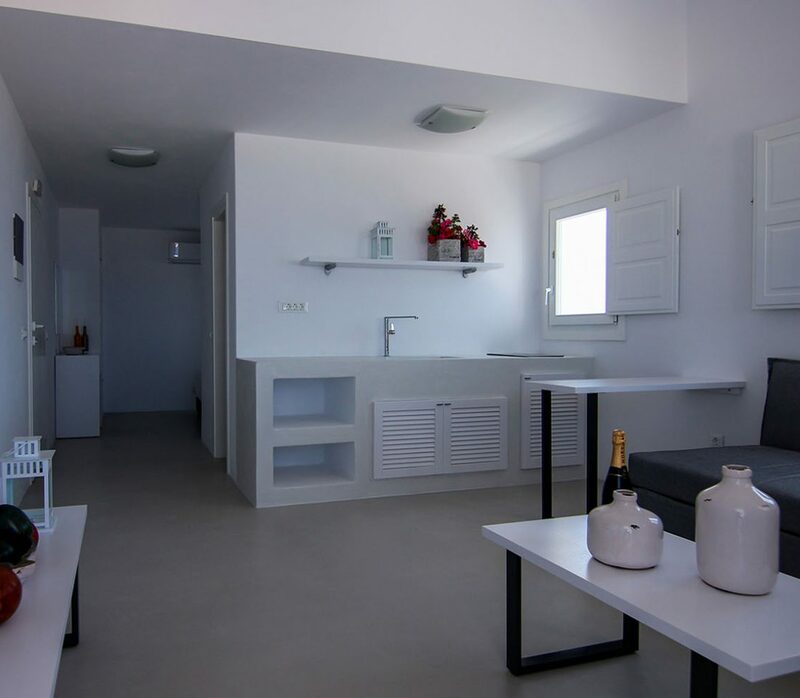 Spacious and minimally decorated, Villa Etrog can accommodate up to 3-4 guests. 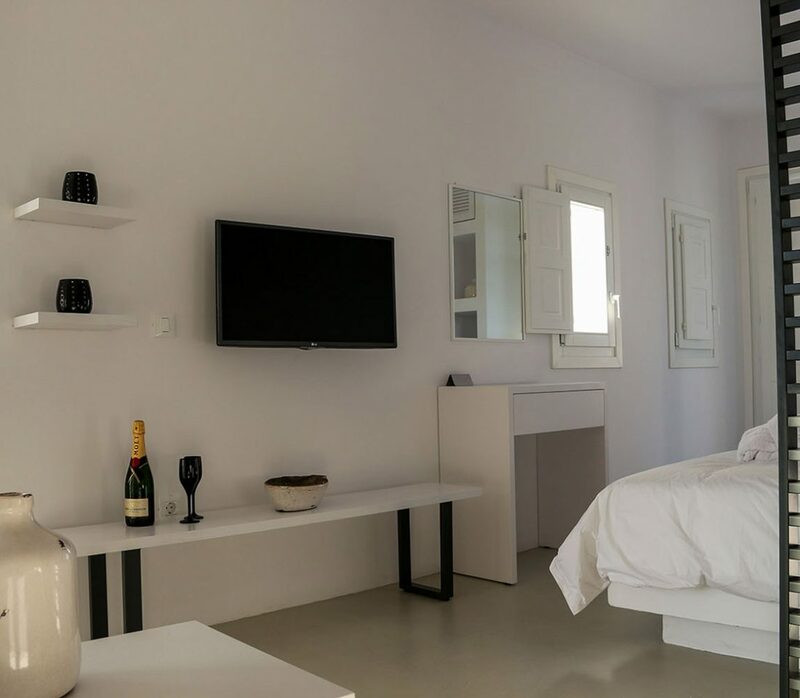 It’s an individual house of 40 sqm, with double queen size bed, modern bathroom shower with cabin shower and upgraded amenities, a spacious living room with a comfy sofa bed and kitchenette with mini bar fridge. 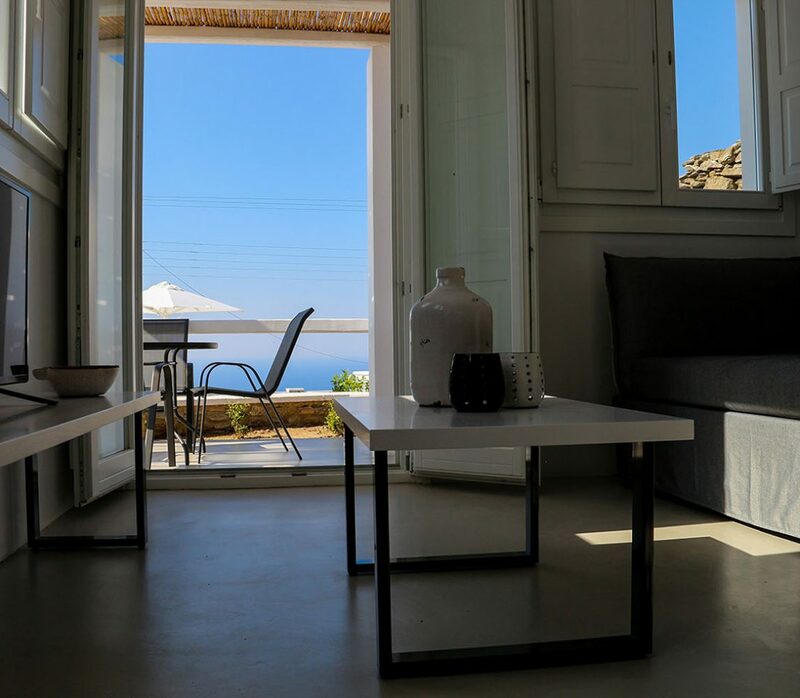 The room has 32΄led flat-screen TV with cable channels and an in-house 10’’ tablet for web browsing while savoring the unobstructed Aegean Sea views in the privacy of your own villa. 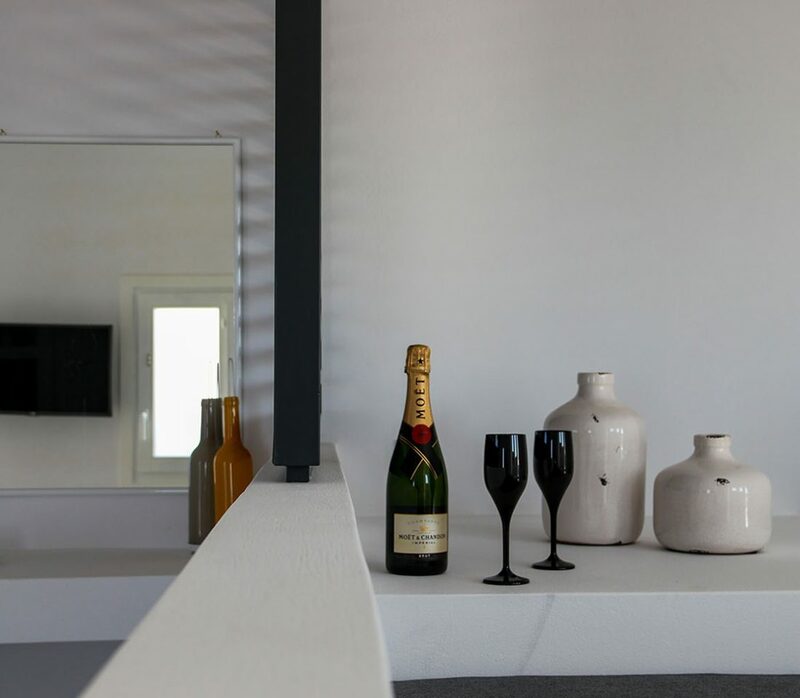 Spacious and minimally decorated, Villa Bergamia can accommodate up to 3-4 guests. 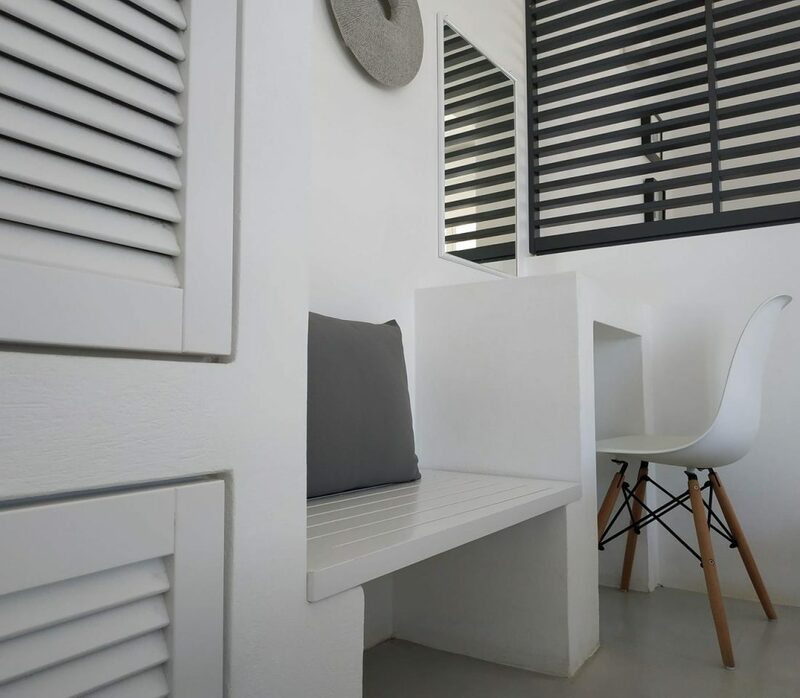 It’s an individual house of 40 sqm, with double king size built-in bed, modern bathroom shower with cabin shower and upgraded amenities, a spacious living room with a comfy built-in sofa bed and kitchenette with mini bar fridge. 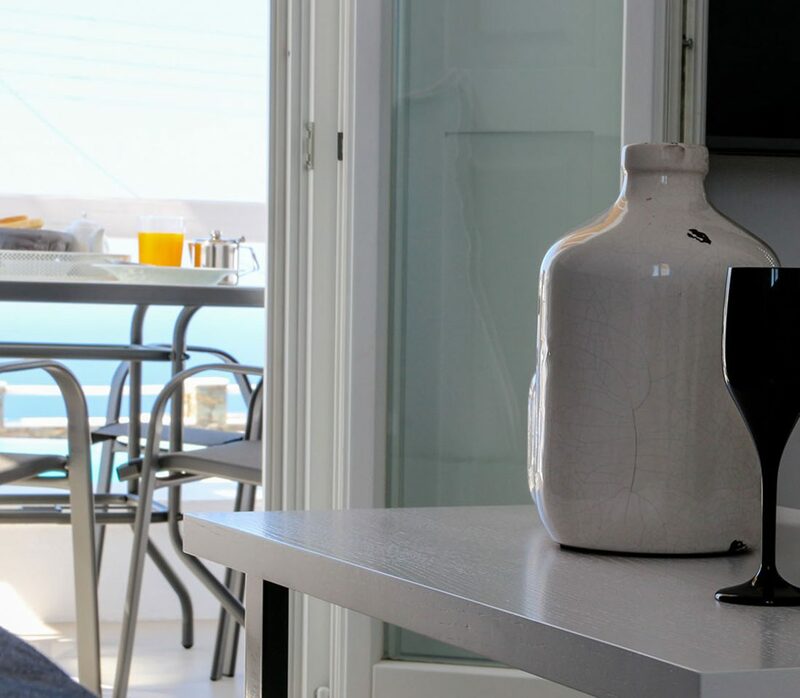 The room has 32΄led flat-screen TV with cable channels and an in-house 10’’ tablet for web browsing while savoring the unobstructed Aegean Sea views in the privacy of your own villa. Spacious and minimally decorated, Villa Nimbu can accommodate up to 3-4 guests. 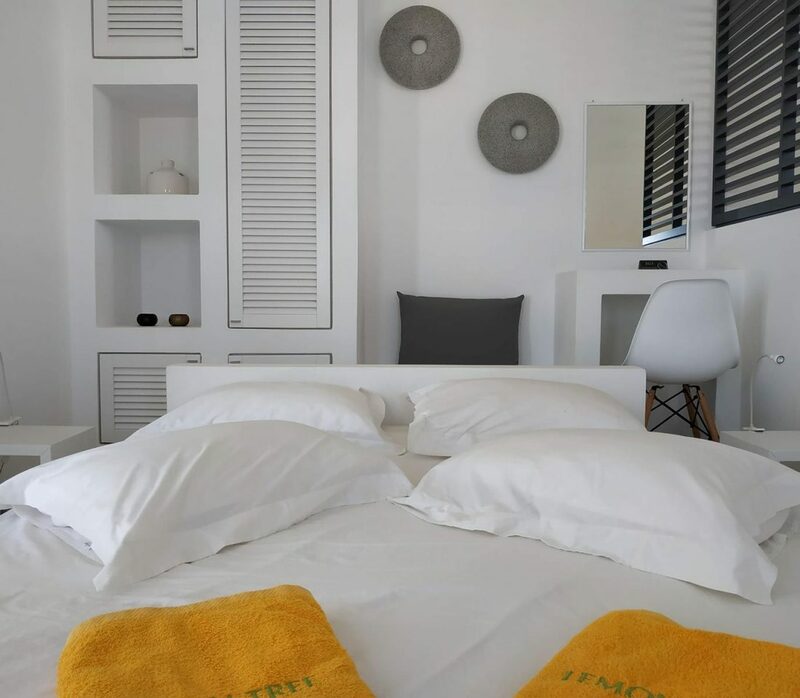 It’s an individual house of 40 sqm, with double king size built-in bed, modern bathroom shower with cabin shower and upgraded amenities, a spacious living room with a comfy built-in sofa bed and kitchenette with mini bar fridge. 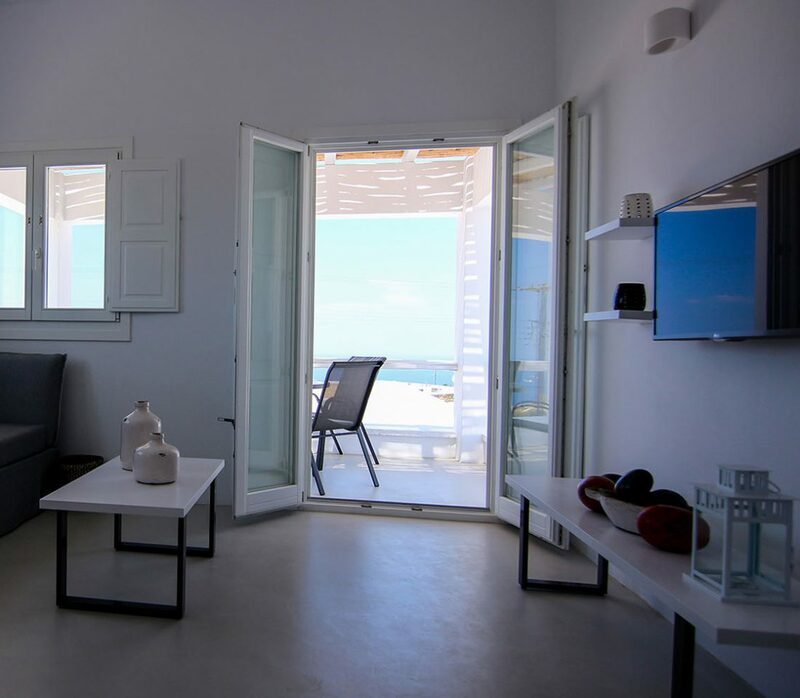 The room has 32΄led flat-screen TV with cable channels and an in-house 10’’ tablet for web browsing while savoring the unobstructed Aegean Sea views in the privacy of your own villa.